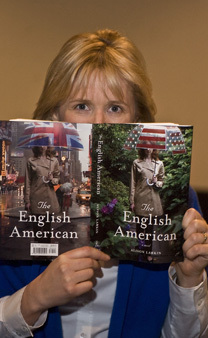 Below please find a selection of resources for Alison Larkin and her book, The English American. As the ultimate English American, Alison shares her insights for partaking in the fine British tradition of making a proper cup of tea just in time for the Royal Wedding this weekend in the Berkshire Eagle! Alison featured & interviewed in Rural Intelligence, The Rural We: Alison Larkin, sharing how she made her way to the Berkshires. “This book is funny, endearing, romantic, heart wrenching and heart warming, and I dare you not to devour it in as few a sittings as possible. It’s the perfect book for a Sunday afternoon curled up by the fire with your cat, and one day I hope to see it on the big screen as I think it would make a fantastic movie.” Read an interview with Alison on Blue Archipelago.